Dancing is your answer to a more fulfilled and fun life, increased energy, overall fitness, and the best way to meet people and make friends. Dancing is for everybody - young, old, single or in a relationship. It increases coordination, confidence and social skills. 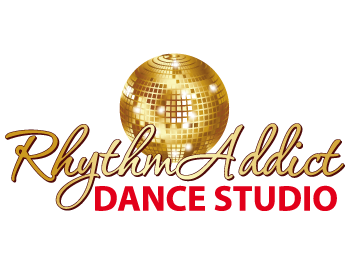 RhythmAddict is THE place for people new to dancing because with our easy to follow system and fun teaching style, we are the cure for the "2-Left Feet" syndrome. We can teach anyone willing to learn, no matter the excuse. We accept the challenge, do YOU? Who are you? What do you want? When/how do you want it? We have lots of options to help you get started, so asking a few questions at the beginning will definitely help you to decide how to get started. Solo or with a partner, one style or multiple styles, multiple days per week or once a week - our Drop-In Class schedule will work for you. Come with or without a partner. Come once a week or more. Note: We ask that everyone's first visit is in Level 1. Please arrive 10 min early for your first class and wear comfortable shoes with straps or ties that will stay on your feet. Solo or with a partner, one style, once a week - this is our ongoing weekly class to learn the foundation of Argentine Tango. Such an amazing way to spend your Monday night. Learn authentic Argentine Tango in a class that emphasizes technique, musicality and connection. With a partner (solo dancers please go to the next page for our dance partner matching database), multiple styles (10 in all), once a week - this is our Friday night/Date night/Dance night for couples. Every other month we start a new Beginning Level class of one of 10 different dances, each one prepares you for any evening of dance at most any type of event. Just $97/mo per couple = romance via dance.